Dr. Jessica Chan graduated the medical school from the Vanderbilt University School of Medicine and completed her residency program at the UC Los Angeles Medical Center. A fellowship at the same institution followed soon after that. She is specialized in pathology and is also board certified in clinical pathology. 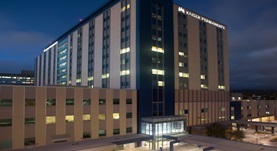 Dr. Chan is currently affiliated with the Kaiser Permanente Oakland Medical Center.